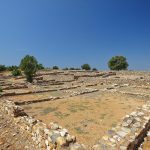 The accuracy of the city plan of Olynthos helps us understand how the Ippodamio city planning system was applied. Although the ruins are remarkable, the findings of the excavations are exhibited at the Archaeological Museum of Thessaloniki and Polygyros. The area was constantly inhabited since the Neolithic Age. 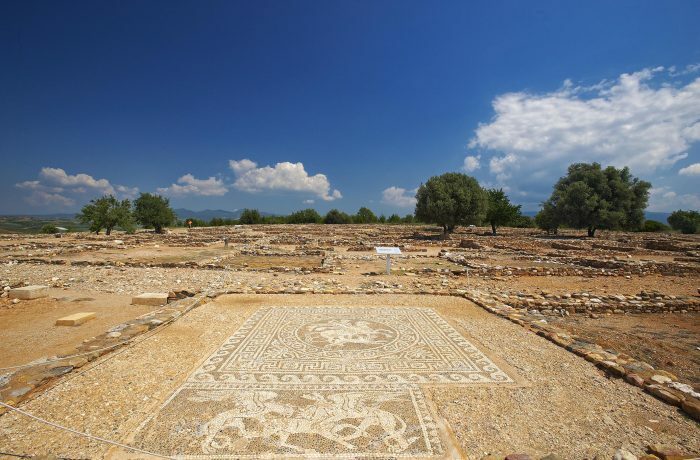 According to mythology, the town was built by the brother of Olynthos, the son of the mythic King of Thrace, Strymonas. 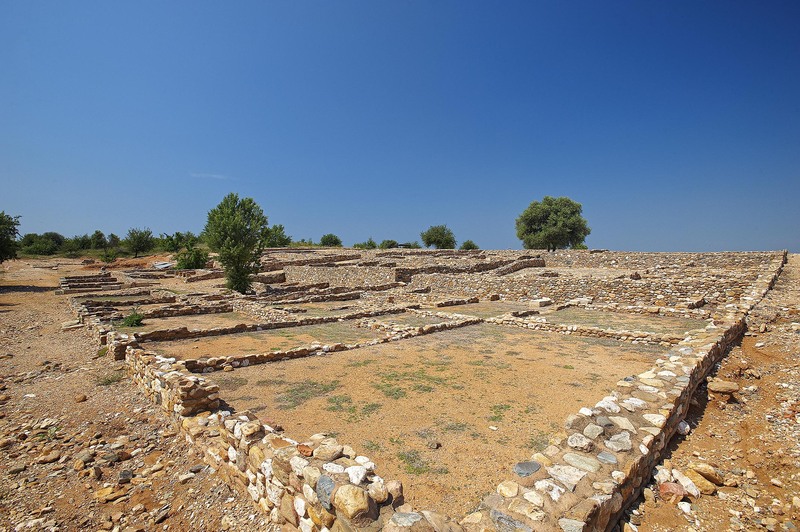 Olynthos was killed by a lion and his brother built the town to honour his brother's name. 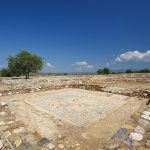 However, the linguists insist that olynthos is the name of the wild fig tree, which is in abundance in the area, and the town was named after it. Around 650 BC refugees from Pieria, hunted by the Macedonian army, settled in the area. The Persian army destroyed the town in 479 BC and offered the region to their allies from Evia (Halkida). Later on, Olynthos joined the Athenian Alliance and then the Community of Halkida (Evia). From this alliance, the town gained great profits (mainly financial). So, it became the capital of the Euboan colonies in Halkidiki and was able to support a huge army (about 20.000 soldiers). During the Peloponnesian War the area grew more, had its own monetary unit and provided protection to all the Euboan refugees in Greece. 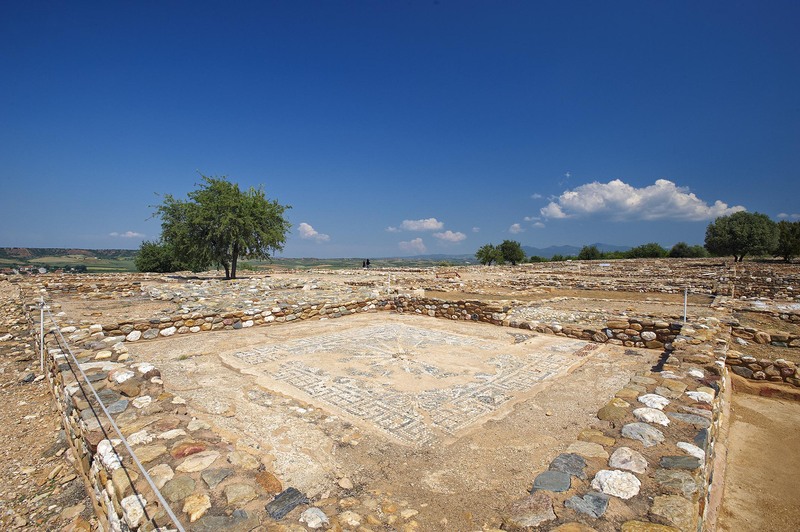 When the Macedonian State faded, the army of Olynthos conquered its territories and reached the ancient town of Pella (389 BC). In 382 BC, after a three-year-long siege, the Spartans captured the town and destroyed the Euboan Community. Nevertheless, the town quickly recovered and became wealthy and powerful again. In 348 BC the Macedonian Army, under the command of Philip II, conquered it and destroyed it. The town was never again inhabited and its destruction is remembered as one of the darkest moments of the entire ancient world.